Refresh the graphic identity for an inclusive table tennis club in Southeast Portland in time for their move to a new location. The Ambridge Table Tennis Club is an all-ages, all levels club with a playful, yet focused clientele. Members participate in table tennis classes, private lessons, leagues, tournaments, and parties. Leader of the club Jeff Mason (pictured in first slide below) is a USATT Certified National Coach, former public school teacher, and accomplished musician. 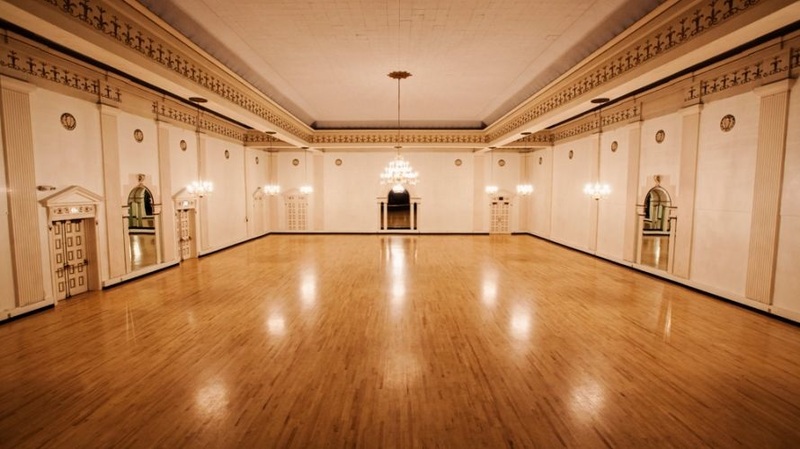 The Ambridge TTC moved into a different space at the beginning of 2017-- a beautiful historic event center called the Melody Ballroom. I was asked to consider this more formal setting (and to play on the theme of "melody") when creating the new Ambridge identity. Final products include, posters, postcards, website, and t-shirt design. "Emily has created, managed, and maintained the Ambridge Table Tennis Club's website since its inception in 2014. She has been a fantastic person to work with, responsible, kind, creative, enthusiastic, and professional. Since we don't do any advertisement outside of the club, the credit of the largest and most successful table tennis club in Portland is largely due to Emily, her website, and so many other super promotional actions (t-shirts, information cards, and posters)... We have more business and players than we can keep up with. As I always say to Emily when she does her incredible, creative touches, adjustments, and modifications... You are amazing! Thanks, Emily."